Sevin 5% Dust is a ready-to-use, outdoor insecticide dust for controlling more than 65 insects on vegetables, fruits, ornamentals, and lawns. 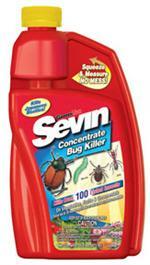 Would you like to see the Sevin 5% Dust Label? How about the Sevin 5% Dust MSDS sheet?